David is Chair of Preti Flaherty's Environmental Group and Co-Chair of the Climate Strategy Group. A nationally recognized environmental lawyer with a distinguished career at the U.S. Environmental Protection Agency (EPA) in Washington, D.C., David joined Preti Flaherty in 1991. He is a Partner in the Portland office and a former member of the firm's Management Committee. He is an active participant in all aspects of the firm's environmental practice, including litigation, compliance counseling, liability allocations, environmental audits, defense of enforcement actions, project permitting, due diligence in business and lending transactions and environmental risk management. David also has testified in U.S. District Court as an expert witness related to EPA policy and procedures and managed CERCLA liability allocation efforts at several significant Superfund sites. As Acting Associate Enforcement Counsel for Superfund and, prior to that, as Deputy Associate Enforcement Counsel for Hazardous Waste, David managed the nationwide implementation of the EPA's civil judicial enforcement programs under CERCLA and RCRA. As Chair of the CERCLA Lender Liability Rule Task Force, David supervised the development of the agency's lender liability rule and the issuance of the agency's first prospective purchaser guidance, approving the initial brownfields-type settlements. 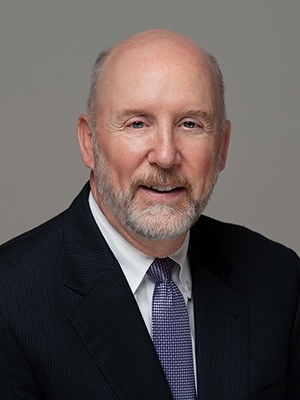 Upon joining Preti Flaherty, David was instrumental in the passage of Maine legislation creating liability protections for lenders and establishing Maine's brownfield VRAP program. As the EPA's lead headquarters attorney litigating the precedent-setting U.S. v. Conservation Chemical Superfund cleanup case, involving more than 200 defendants and third-party defendants, David pushed the case to a successful conclusion. The case was one of the first to be litigated under Superfund. David's awards while at the EPA included the Department of Justice Commendation for Outstanding Service; the Assistant Administrator's Enforcement Award for Excellence; a Silver Medal; two Bronze Medals; and numerous Superior Performance and Outstanding Achievement Awards. Prior to joining the EPA, David was a legal policy analyst for Booz-Allen and Hamilton, Inc., in Washington, D.C., where he helped develop policy on civil judicial and administrative enforcement for the EPA's hazardous waste programs. He also worked for Environmental Research and Technology in Washington as a legislative and policy analyst, focusing on legislative initiatives under the Clean Air Act and Clean Water Act.